“Set in 1960’s civil war era Nigeria, this book tells the story of Clem a Methodist Missionary and his wife Lydia who settle in Biafra/Igboland to work with the local populous and churches, clinics and schools. The story is told from Lydia’s point of view and grips from the very start with such attention to the smallest details whilst opening your eyes to the cultural, religious and political differences that they are challenged with. “Set over a few years it shows the strain that a missionary’s wife has as someone without a ‘role’, ie she is not the missionary, but his wife and the search for self-recognition and finding her own identity. However, war, love, the local villagers and illness all drive wedges between the couple and the pressure on their relationship is huge. “The story is very well written and you are there with them as they face West Africa together and come to terms with their lifestyle adjustments. The author has created something very special here that really gave me cause to want more of this style of writing that’s alive and thoroughly researched. A new life begins for her thousands of miles from home. Lydia and Clem Davie arrive in an Igbo village in Nigeria in July 1967 just as civil war breaks out, but Lydia has trouble adjusting to life in West Africa: a place so unfamiliar and far away from everything she truly understands. Initially, most of the locals are welcoming and friendly, until one or two begin a frightening campaign of anti-white protests. Lydia’s life is changed irrevocably after she meets enigmatic Igbo doctor, Kwemto, and war victim, Grace. Through them Lydia learns about independence, passion and personal identity. Conflict and romance create emotional highs and lows for Lydia, whose marriage and personal beliefs slowly begin to crumble. Will this house in a Nigerian bush village ever seem like home? IGBOLAND is a romantic novel of passion, conflict and adventure. While it is a work of fiction, it is inspired by the diary, photos and stories of my parents who lived out in Nigeria for six years. My Mum’s diary is full of intriguing details and incidents, although it is important to note that IGBOLAND is a work of fiction with characters very different to my parents, Janet and Gerald Gardiner. Below is an extract from my Janet’s diary. The Igbo girl, Rachel, became the inspiration for the character Grace in IGBOLAND. Although Grace’s character experiences different challenges – the tone and the mood made a big impression on me, and I hoped to capture that same sense of suffering and hardship. Read the novel to see how I went from this, to the story of Grace. “Gerald took us up to Oturkpo hospital to visit an Igbo girl. She must have been brought up from the east for treatment (a caesarean operation). She was a pitiful sight, trembling and in a completely confused state; she must only be around 18. It must feel awful for her with a new baby (a tiny sweet little thing – pinkish brown) and in enemy territory, separated from home and family. People treat her kindly although the nurses don’t seem to do much for her – she is unkempt and looks a mess. There are flies everywhere in the ward. It tears your heart out to see her. She wants to go home, but the doctor won’t allow her to be moved as she is too ill and weak. She wept when Gerald read her some letters from her family. My novel ‘IGBOLAND’ is inspired by the photos and tales of my Mum and Dad, and by my Mum’s diary from their six years living in the Nigerian bush. I was born out there in Jos in the middle of the Nigerian Civil War. 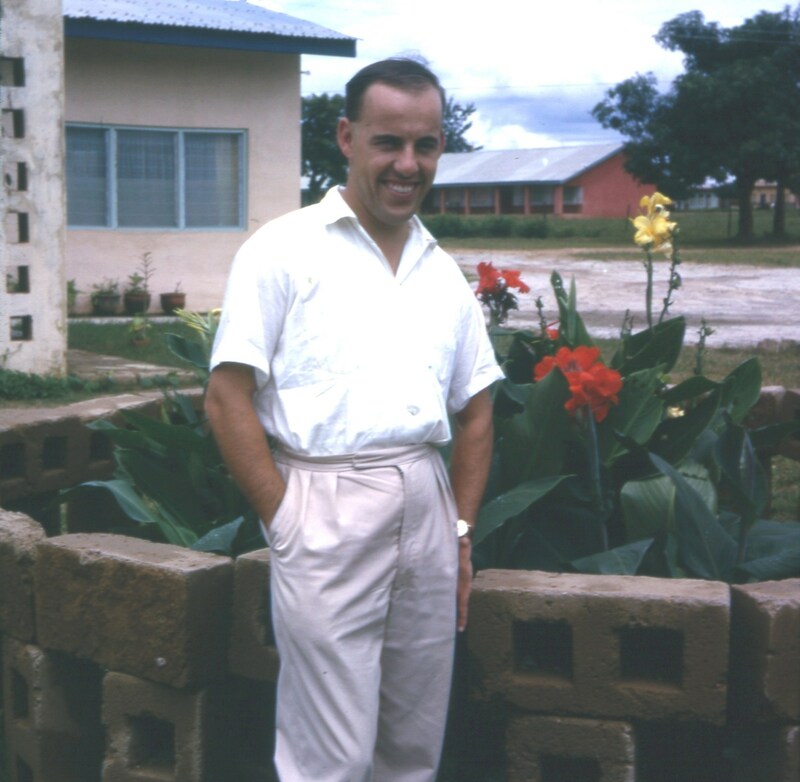 My Dad, Gerald Gardiner, was a Methodist missionary out in Idoma. My Mum, Janet Gardiner, was a young, newly married wife. 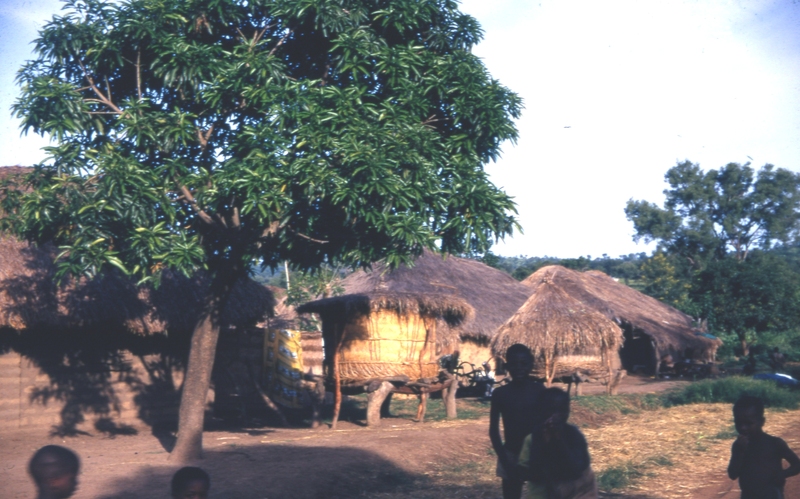 They lived in a bush village called Iga; the only white residents for many miles. 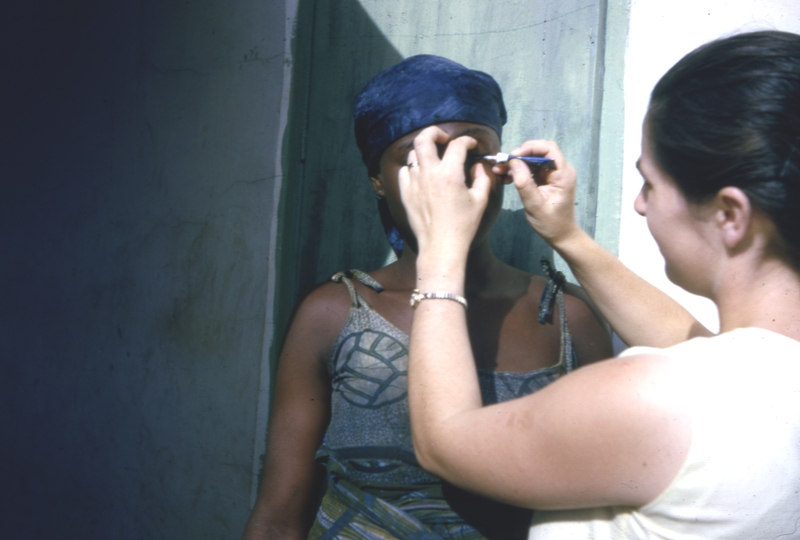 Even in the 1960s, they still encountered people who had not seen white folk before. My Mum felt she could offer a little help by opening a tiny dispensary to help with simple medical complaints. Dad helped run local schools, churches and teacher training colleges. 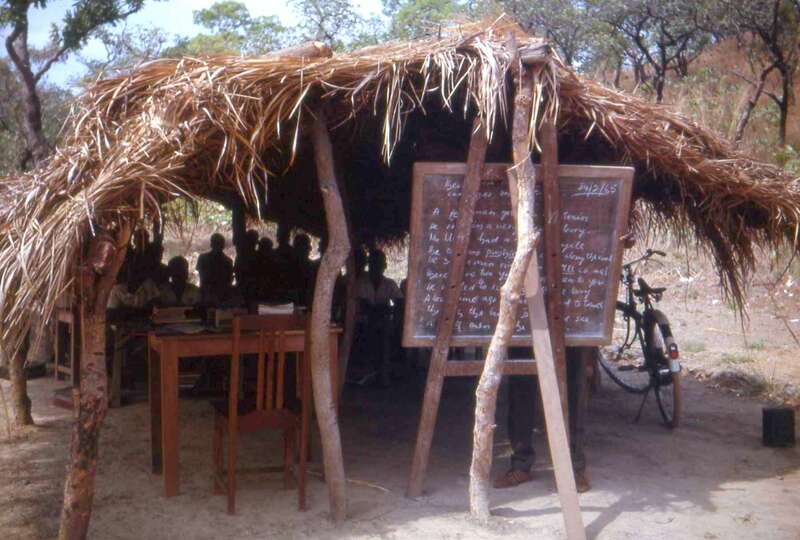 School buildings and resources were vey basic. 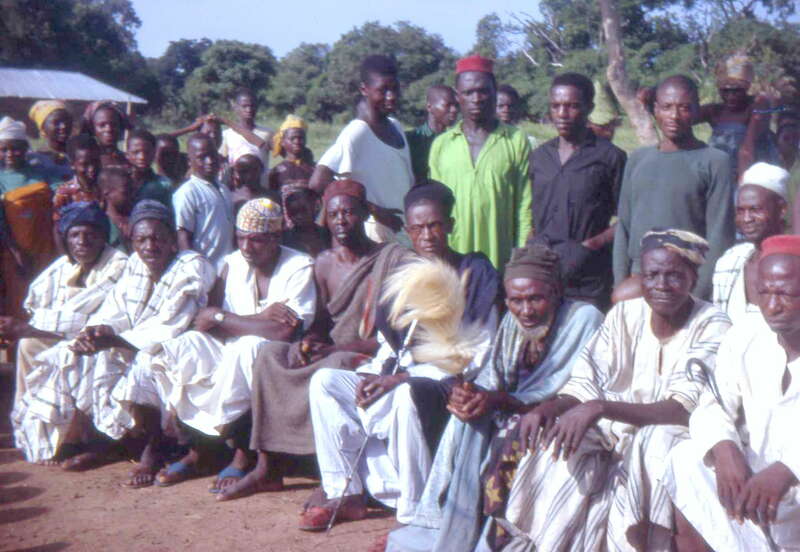 Below is a picture of the village elders. The road were treacherous and often just muddy rutted paths. 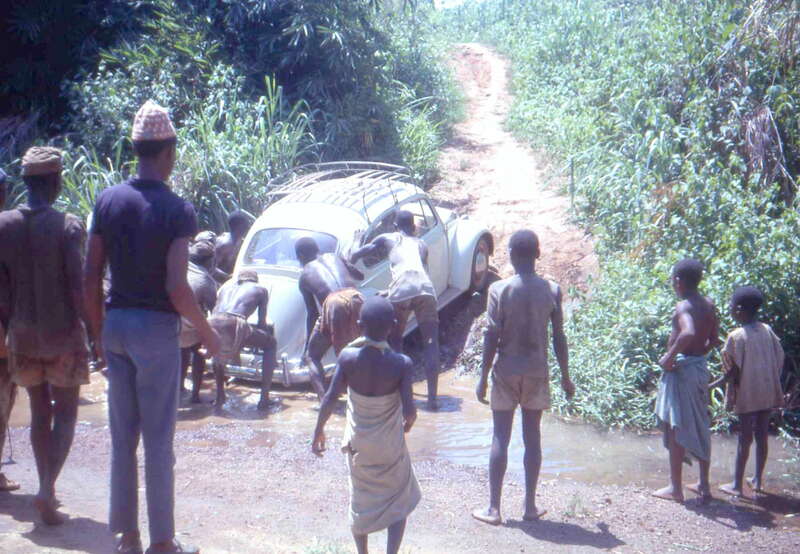 If Mum and Dad’s Beetle ever broke down, locals would appear magically from the bush to help out. Mum and Dad are still in touch with the Omafu family out in Nigeria, who run a maternity clinic, supported by kind donations from my parents. An early shot of Jeff Gardiner, author of ‘IGBOLAND’, a novel of passion and conflict inspired by my parents’ years in West Africa. To buy a copy of ‘IGBOLAND’ click on the cover image below. My novel, IGBOLAND, is inspired by the photos, diaries and stories of my Mum and Dad, Janet and Gerald. 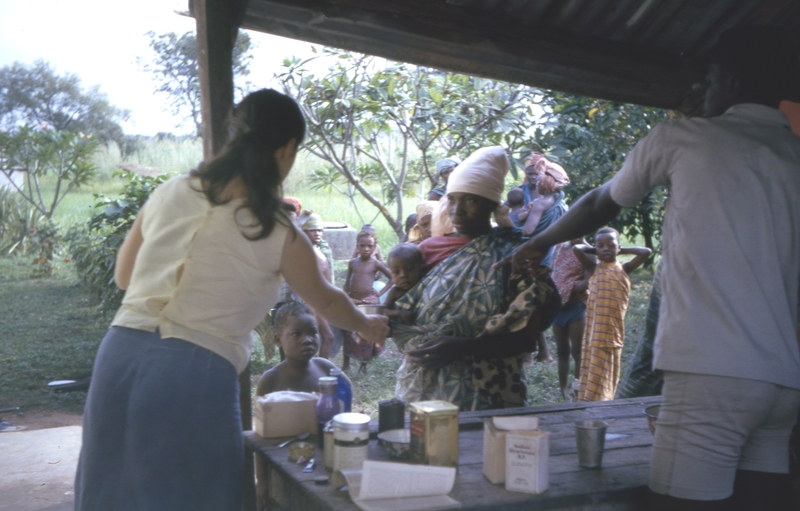 They lived in the Nigerian bush for six years as missionaries, during the Biafran War. They faced many difficulties and hardships, but remember their time with great joy; for them it was a life -changing experience as a young couple. 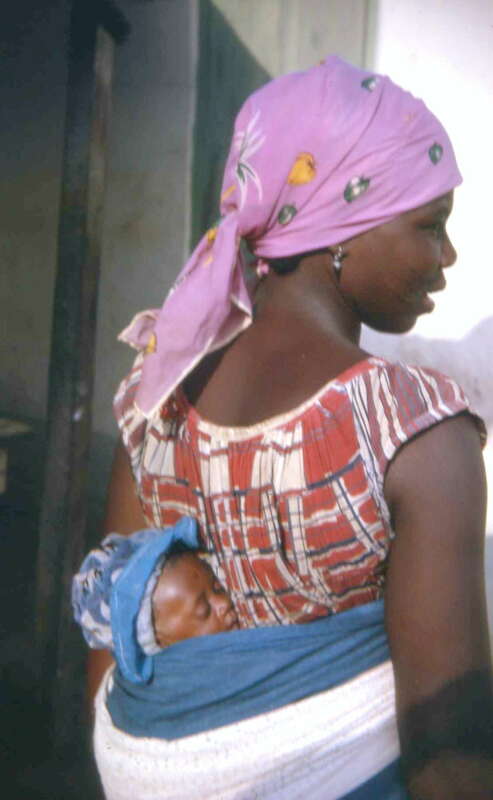 I was born out in Nigeria (in Jos), and my parents brought up two children with relatively few resources. 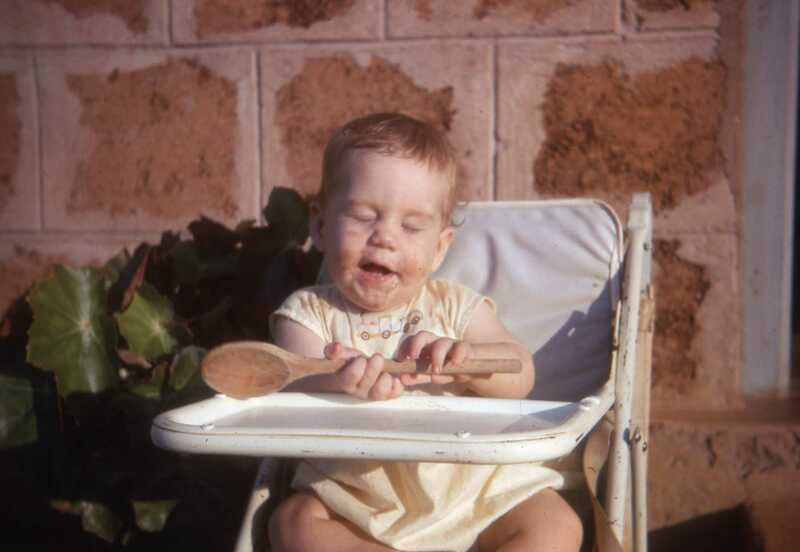 Below is a selection of some photographs from their time out there – taken between 1964-70. A friendly welcome from the brightly-dressed local villagers. 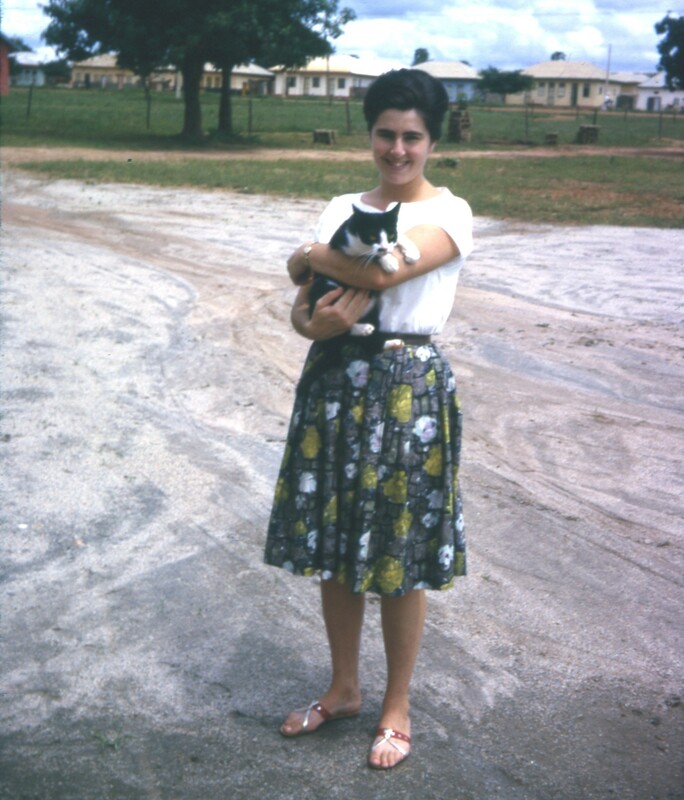 Mum and the pet cat – mainly kept to catch mice and rats. 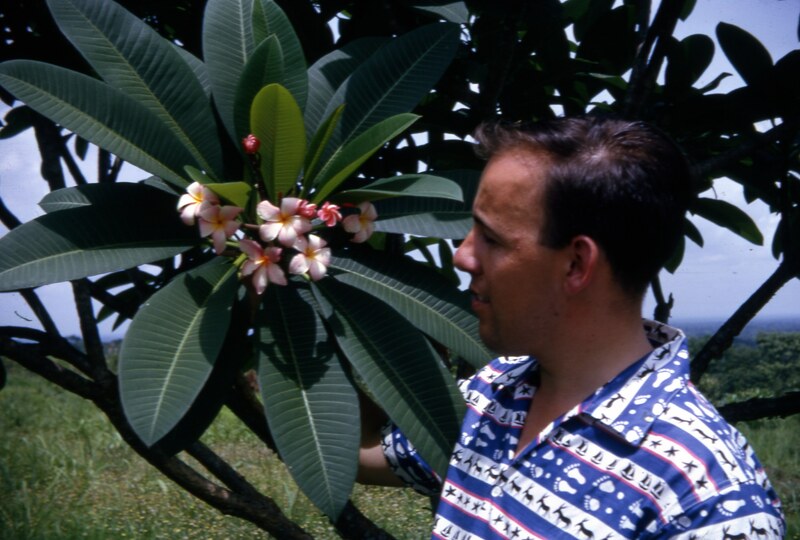 Dad admiring the frangipani blossom. Plants grew very quickly and dramatically in the West African climate. 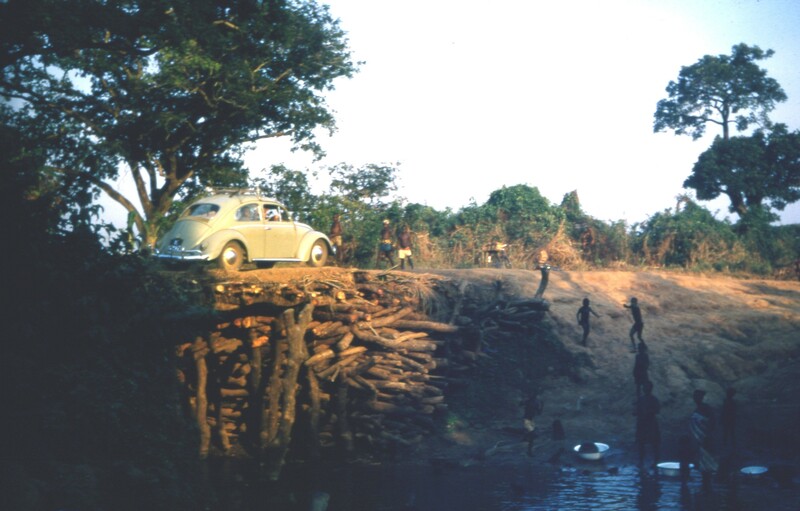 My parents’ VW Beetle attempting to cross another precarious bridge. Most of the roads were dirt tracks, which after rain just became mud pits. A vital resource during the long dry seasons. The eagle-eyed among you might spot my brother – Trevor. 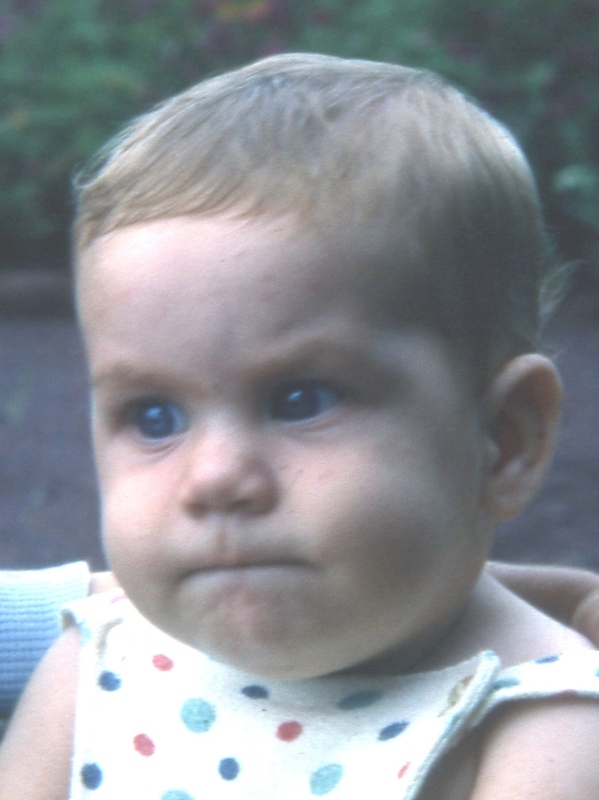 This is me, looking very determined (not to mention cross-eyed!). Proud to be born in Nigeria. IGBOLAND is a tale of passion and conflict set in Nigeria in the 1960s. It is not the story of my parents, but a work of fiction using the context of my Mum’s diaries, and extensive research into Igbo culture and beliefs. The IGBOLAND BLOG TOUR is underway. I’ll be visiting a number of other author’s blogs and posting extracts and information about my novel IGBOLAND. I’ll also be including pgotographs from Nigeria in the 1960s and explaining how the novel was inspired by the experiences of my own parents who lived in Nigeria for six years. During their time there I was born in Jos, and to this day I consider Nigeria my spiritual home. My novel, IGBOLAND, is out today; published by Crooked Cat. It’s a tale of passion and conflict, set in Nigeria during the Biafran War. 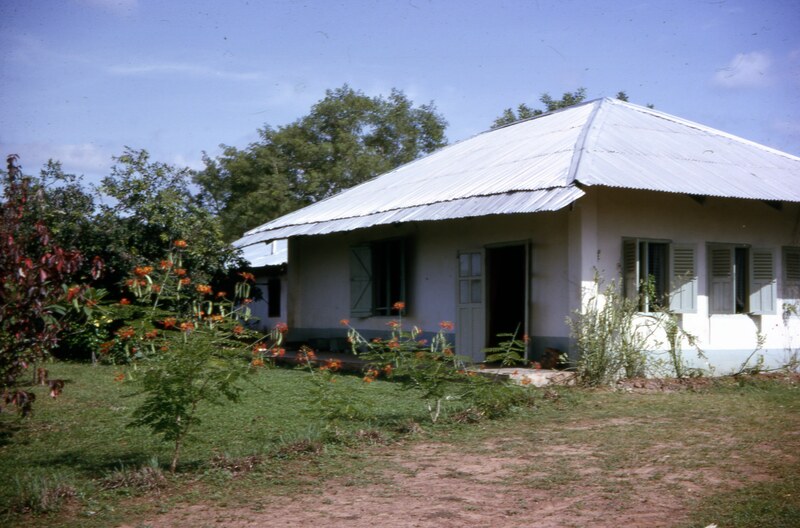 The novel was inspired by my parents, who lived out in Nigeria for six years. I was born in Jos and consider Nigeria to be my ‘spiritual home’. Over the next few posts on this blog, I will be giving more information and posting more pictures of life in Nigeria in the 1960s. Thanks to my Mum and Dad – Janet and Gerald.